Unknown September 13, 2018 Do you know? 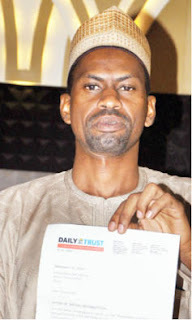 Media Trust Limited, publishers of Daily Trust titles, has honoured 25 employees for their integrity, excellence and long years of service to the company. The employees were honoured at a ceremony which had in attendance all the company’s board of directors, in Abuja yesterday. 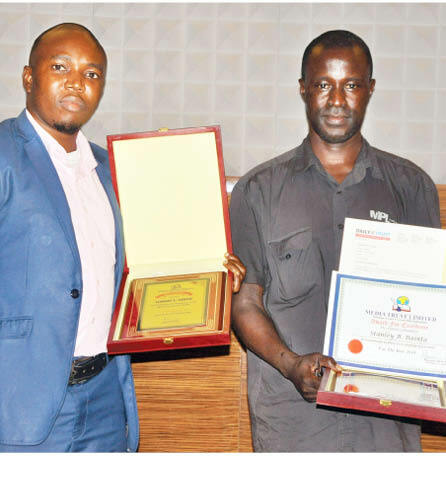 The Deputy Editor of Daily Trust on Sunday Stella Iyaji and Mustapha Sekinat Motunrayo from the operations department won the integrity awards. The editor of Youthville, Simon Sunday Echewofun and Stanley Bainta were also honoured with the excellence award. The four awardees were presented with certificates, plagues, cash awards and were promoted to the next level.The Head, Advert Operations Shamsuddeen Sani Hussaini, and Features Editor Abubakar Adam Ibrahim were specially recognised for their contributions to the growth of the company. In the long service category, seven employees, who had put in 15 years of service to the organisation, and 14 others, who had worked in the company for 10 years, were honoured. Employees honoured for their 15 years of services to the company include Ruby Alexander Leo and Abubakar Haruna from the editorial departments. Others are Maimuna Sani (finance department, Kaduna regional office). Florence O. Oketona and Kabiru Yakassai of the Advert Department from Jos and Kano regional offices respectively. Salihu A. Dabo, Sales department Zaria and Inanila Kingsley, a designer at the Abuja office were also honoured. 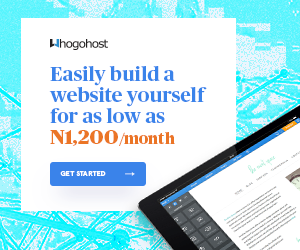 Employees who had put in ten years to the service of the company in the editorial department include Olaniyi Muideen Oladele, Abuja; Usman Bello, Edo; Misbahu Bashir, Abuja; Umoru Faruk Salifu, Abuja; Salihu I.I. Makera, Abuja; Agabi Christopher, Abuja; and Lubaratu Inuwa Garba, Kano. 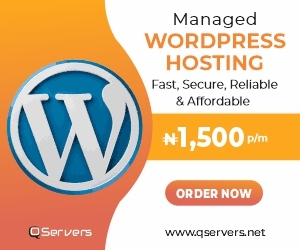 Others are Nuruddeen M. Lawal, Quality Control department Abuja; Sunday E. Onojah; Designer Abuja; Idris Umar Feta, Sales, Abuja; James Otite Ejakpo, Maintenance Abuja; Tunde N. Abubakar, designer Abuja; Anakhaso Sunday Bullet, maintenance Abuja and Abdullahi Tijjani, sales Katsina. In his welcome address, Editor in Chief/Chief Executive Officer of Media Trust, Mannir Dan-Ali said the ceremony was instituted to honour employees for their integrity, excellence and diligence to have worked with the company for a long period of time. He described the awardees as silent employees that have upheld the culture, excellence and integrity that the company is known for, “It is no mean achievement because without their contribution the company would not succeed,” he said. 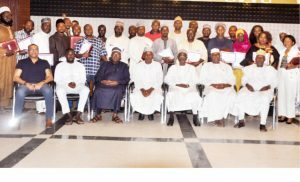 He urged the awardees to continue their exceptional duties adding that the company would continue to hold them dear adding that they should be celebrated having devoted a big chunk of their lives to the growth of the company.